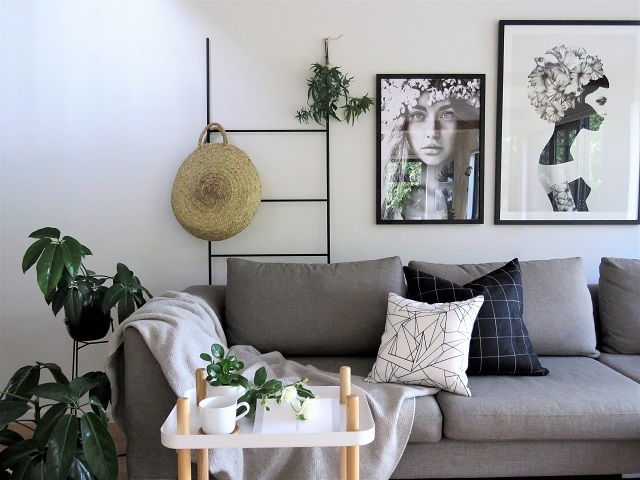 A sofa without cushions for me is like walks without my dog, gin without tonic or mornings without coffee, but getting the right cushions for that sofa is a big ask and with the cost of a single cushion pushing upwards of $80 you need to get it right – first time! Think about how you put an outfit together; is it instinct that tells you those shoes won’t work with that bag and that skirt, or are there fashion rules that you have learnt along the way? Creating a perfectly styled sofa is like the perfect fashion ensemble. Follow the rules and your instinct and your sofa will be looking picture perfect. 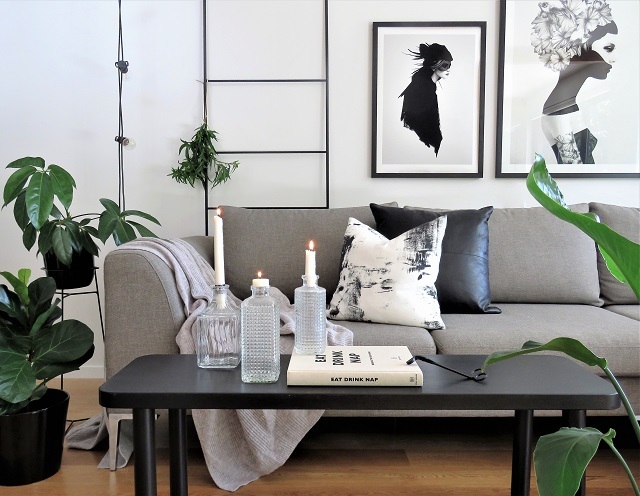 I’ve used the same sofa in all the photos and just varied the accessories, this gives you a good idea how you can change up the look simply and easily. Always use odd numbers. The safest cushion styling option is 2 at one end and 1 at the other. 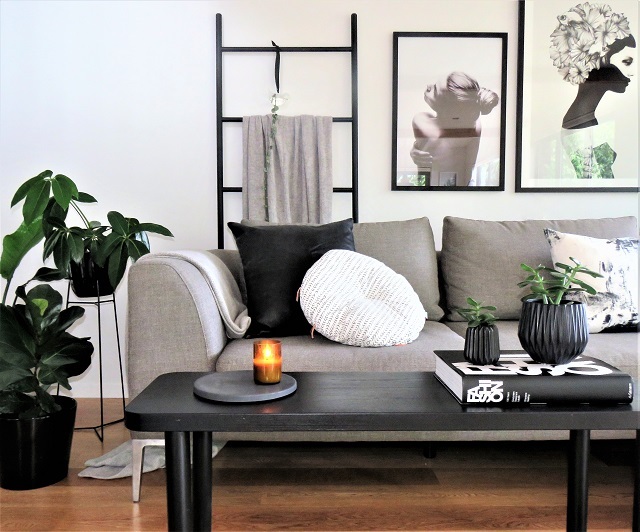 The only time you should use two cushions is when you have a small sofa and one cushion opposes the other, for example a round and a square, a pattern and a plain. Mix up your sizes but don’t place a too big cushion next to a too small one. 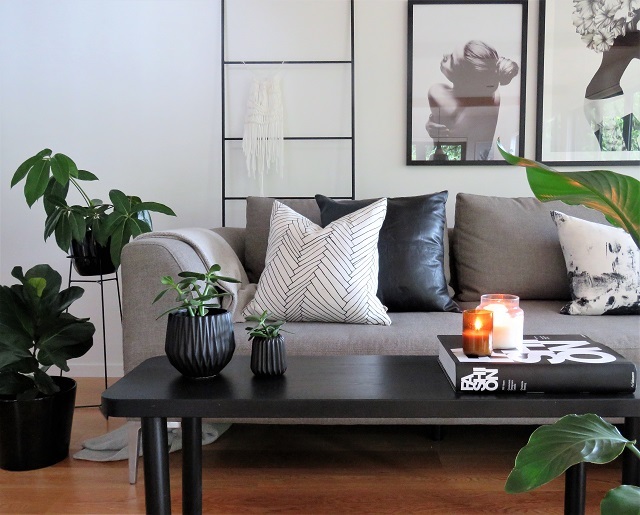 Most cushions are between 40cm and 50cm which creates a nice contrast. Throw a roundie into the mix, it creates a point of difference. Try and keep your textures to two or three. A linen and leather look great together but add in a silk and velvet and it can throw the balance. Pattern can be mixed happily when working with monochrome but be careful with adding colour as well. If you have a colourful floral cushion team it with a plain. 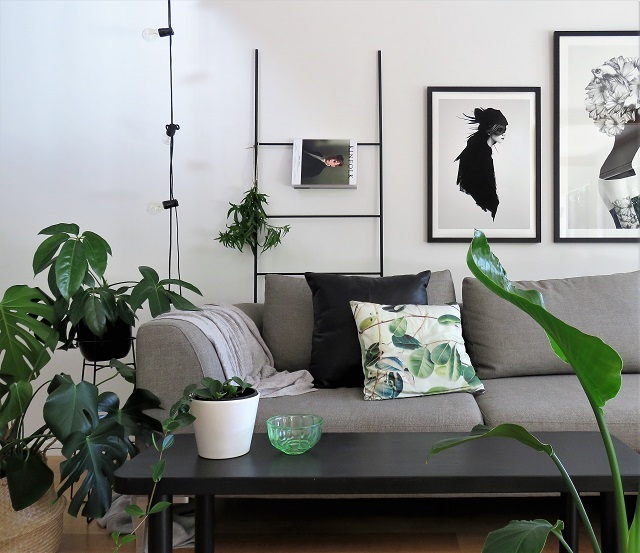 I am a monochrome girl, so my home consists of shades of white, grey and black, with the occasional burst of green. Colours can be tricky, try and keep to a palette of three colours that compliment each other, to find these use a colour wheel. Remember also not to assume that varying shades or hues of one colour will be happy side by side. Adding a sheepskin or a throw adds another layer of interest to your ensemble. I prefer using feather inserts that are the same size as the cover, if you over fill a cushion it creates a hard and uncomfortable look. 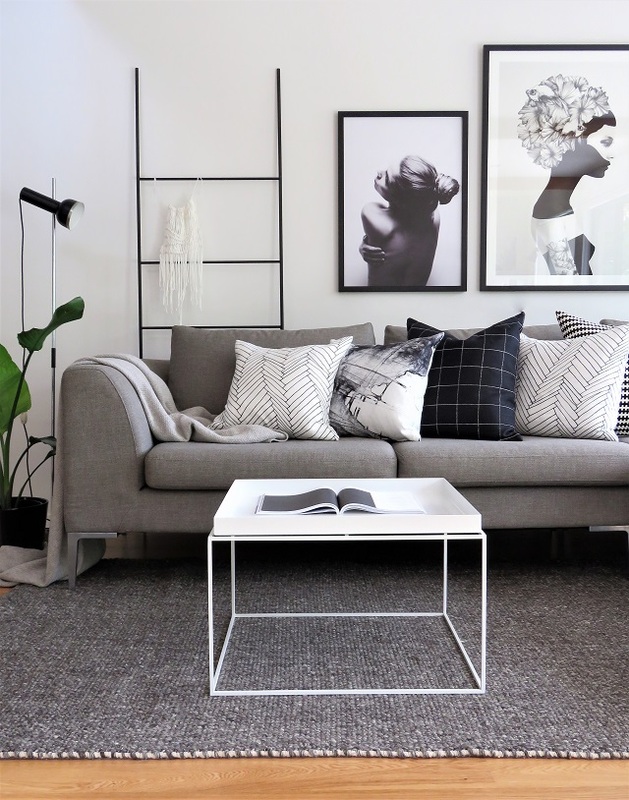 Keep your art in tone with your cushions to create a harmonious finish. Add beautiful ceramics to your coffee table that will enhance the cushions. This post was written in collaboration with Formantics. A beautiful range of art, cushions and ceramics to finish off your room in style. In this world of mass produced goods I love to see a point of difference.